Imaginations take flight, inspired by new breathtaking depictions of birds by some of the world’s most talented artists who push themselves to new heights, striving to be selected for the internationally renowned Birds in Art exhibition. Majestic yet fragile, amusing, and poignant, birds connect us with the natural world, heralding each dawn and signaling environmental shifts. Savor artistic interpretations and discover anew what inspires you. The 44th annual exhibition features avian wonders through all-new interpretations in original paintings, sculptures, and graphics created within the last three years. Birds in Art opening weekend festivities are part of Wausau’s Artrageous Weekend. Since 1976, the Leigh Yawkey Woodson Art Museum has organized Birds in Art annually, seeking to present the best contemporary artistic interpretations of birds and related subject matter. Two- and three-dimensional artworks in all media other than crafts and photography are eligible. Approximately 100 works are selected by a three-person jury; see the Birds in Art Prospectus for details. Artwork for the annual Birds in Art exhibition is selected in May and opens to the public on the first Saturday following Labor Day. 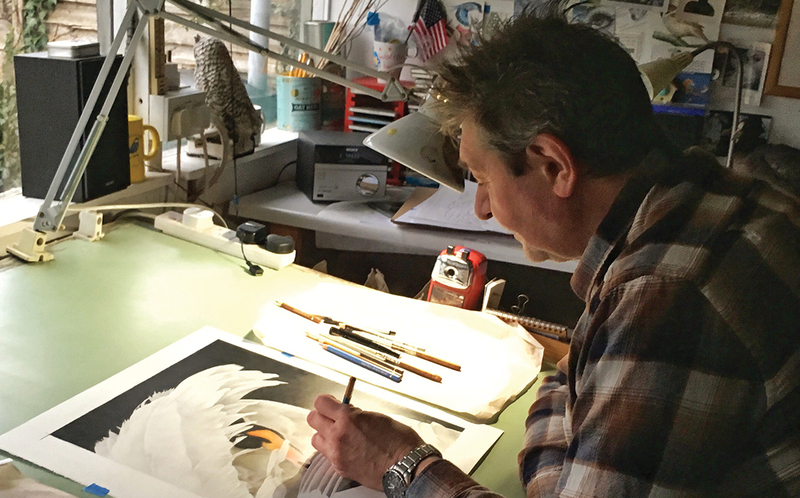 The Leigh Yawkey Woodson Art Museum’s 2019 Master Artist is British colored-pencil artist Alan Woollett, who will be honored during the Museum’s 44th annual Birds in Art exhibition this fall. Woollett, the Woodson Art Museum’s 38th Master Artist, will discuss his career and artwork during his Master Artist presentation on Birds in Art opening day, Saturday, September 7, in the Museum’s sculpture garden, 9:30-10:30 a.m.
Woollett’s artwork, whether deftly drawn in graphite or colored pencil, is characterized by eye-catching and memorable compositions featuring birds in striking poses. His exquisitely detailed and elegantly sophisticated avian-themed artwork – conveying birds’ delicacy and poise – conveys the joys of observing, drawing, and appreciating nature. During his career, as Woollett’s choice of mediums gradually transitioned from graphite and watercolor to colored pencil, he strove to create artwork that would be selected for the Birds in Art exhibition. Determined to work harder each year to refine all aspects of his work, Woollett submitted artwork for the annual exhibition five times before he was successful in 2011 with a graphite work. “My first acceptance to Birds in Art was an incredible feeling; one I shall never forget,” Woollett said. Traveling from England to Wausau, his experiences during the opening festivities provided inspiration and fueled his motivation to improve. “When I initially scanned the galleries,” he said. 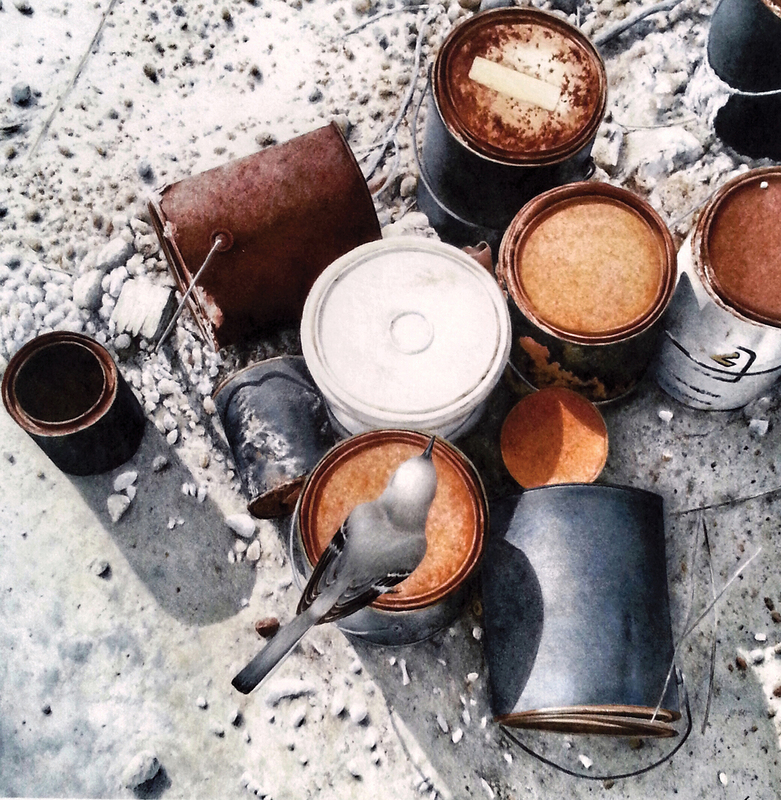 “I knew I’d have to step it up even more, if I hoped to return.” Selected for inclusion in Birds in Art seven times, Woollett made the journey from England to attend the exhibition opening again in 2012 and 2015. “I’m still taking in the fact that my work is deemed worthy of being exhibited alongside that of such esteemed and talented artists,” Woollett said of the Woodson Art Museum’s Birds in Art artists and previously named Master Artists. 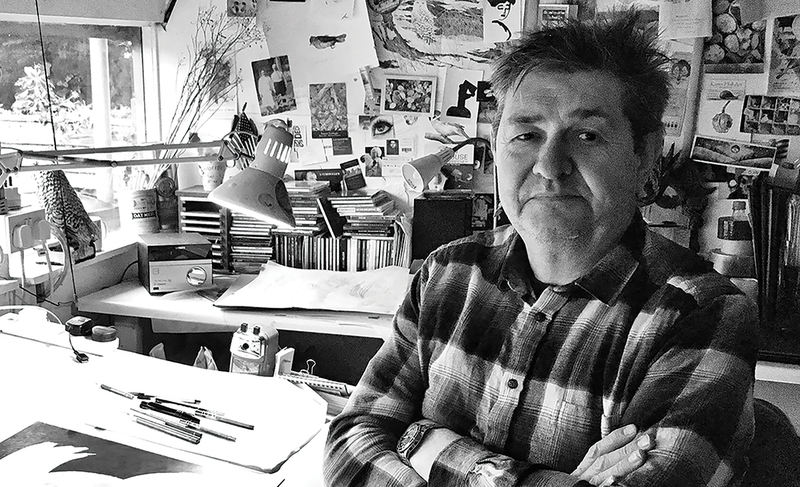 “It’s such a huge honor and one that has me still pinching myself most mornings when I sit to draw in my humble little studio.” A selection of Alan Woollett artworks will comprise his 2019 Birds in Art Master Artist grouping. Born in 1964 in Chatham, Kent, England, Woollett’s interest in birds was sparked during winter backyard birdwatching as a young boy. His childhood drawing pursuits and an I-Spy Birds book given to him by his mother ingrained an interest that was to lie dormant until many years later. After high school and training to become a carpenter, Woollett shifted course and began studying graphic design at the Kent Institute of Art and Design, now called the University for the Creative Arts. His two years as a student there “reignited my passion for art, drawing, and the natural world,” and in 1993 he received an OND, Ordinary National Diploma, in graphic design and illustration. After college, Woollett refined his skills drawing with graphite “whilst seriously harboring a desire to paint these subjects in watercolor,” he said. A local naturalist and illustrator taught him how to use a paintbrush, and he focused on honing his painting skills during the next few years as a stay-at-home parent of his two children. Gradually, he transitioned to working in colored pencil, after initially using them to add fine details to his paintings and then using them more extensively to complete his drawings. “I had always felt much more comfortable with a pencil in hand than a paintbrush,” he said. For additional details, see the 2019 Master Artist press release. Follow us on Facebook, Twitter, and Instagram. The Museum’s 38th Master Artist will provide insights into the artist’s inspiration and process during this presentation. Thanks to the members, donors, grantors, and sponsors who supported Birds in Art 2018 exhibition and programs. Support for Birds in Art 2018 came from Aspirus, Inc. and Aspirus Arise. Additional exhibition and educational support came from Jim and Sue Konkel, and additional educational support came from Gary and Amy Sweet. Birds in Art 2018 media support came from Wisconsin Public Radio. Marketing supported in part by City of Wausau Room Tax funds. Exhibitions and programs were supported in part by a grant from the Wisconsin Arts Board with funds from the State of Wisconsin and the National Endowment for the Arts. Support for the Jane Kim mural project came from the Community Arts Grant Program of the Community Foundation of North Central Wisconsin, with funds provided by the Wisconsin Arts Board, a state agency; the Community Foundation; and the B. A. & Esther Greenheck Foundation. A grant from the B. A. & Esther Greenheck Foundation supported the Kris Parins and Josh Guge artists residencies.